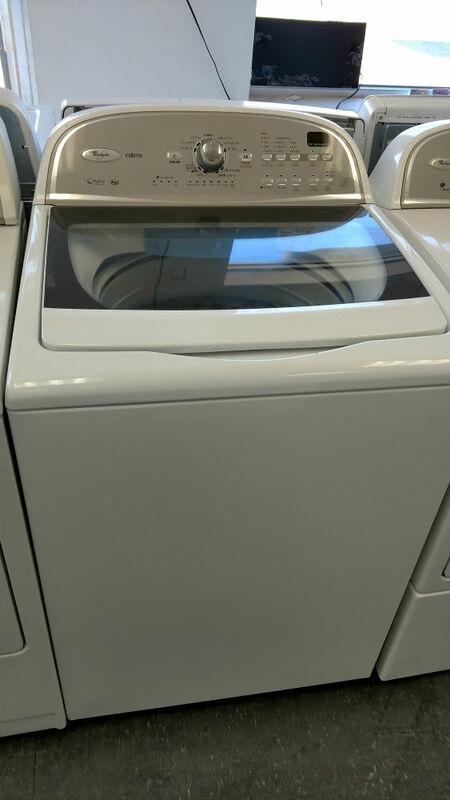 We have an extensive selection of the top brands of used appliances. 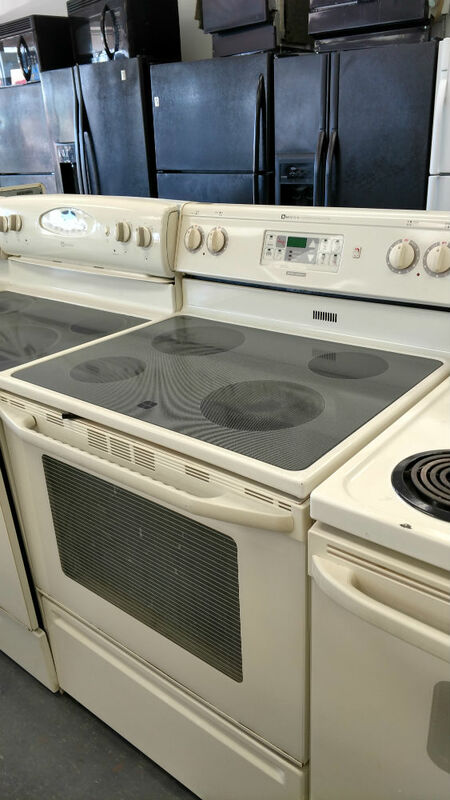 They are a great value for the money, particularly in contrast to new appliances. No matter what you call them, we have them. Black, white, cream, or stainless steel refrigerators. 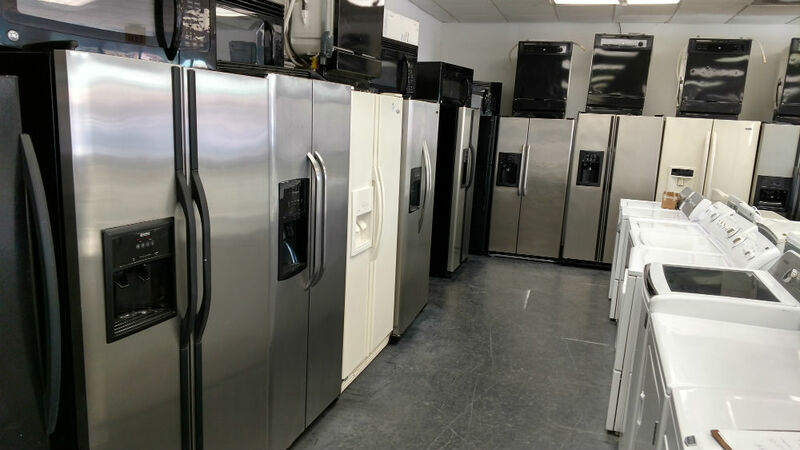 We have small to large fridges and a variety of door layouts from single door with freezer on top or freezer on bottom, double door, three door or French door models. 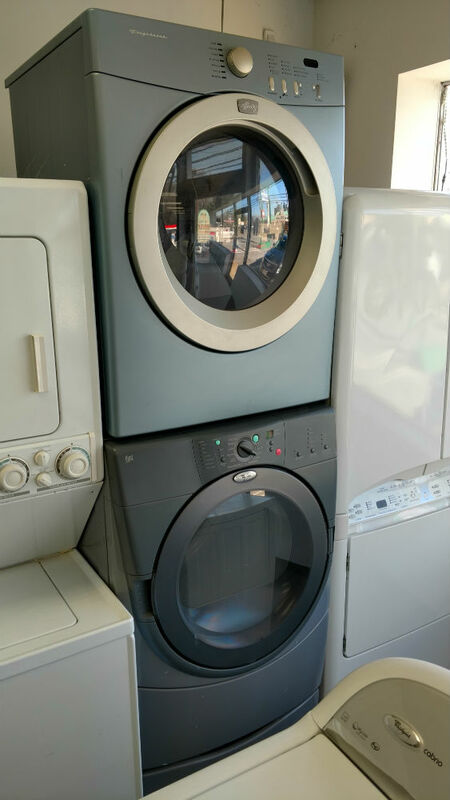 We have a range of styles from regular to high efficiency, front loading or top loading and of course we have stackable washer dryers. We primarily have electric dryers but ask to see if we have gas dryers. We don’t have as many of those. There are a variety of choices including white, black, black & white, and bisque as well as stainless. 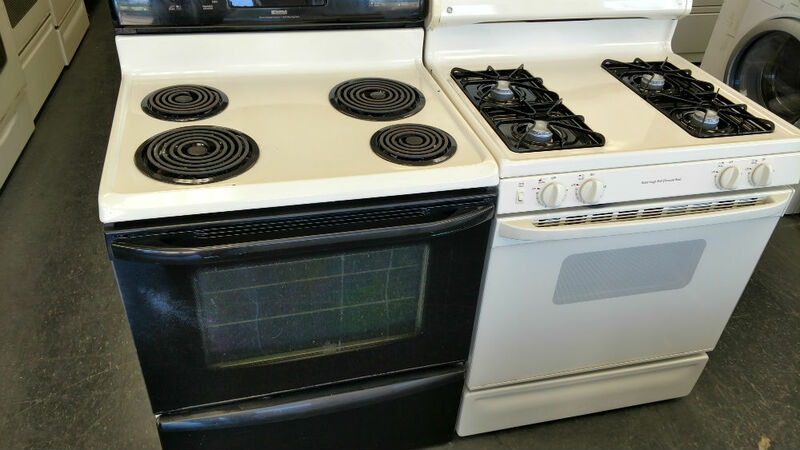 Then you can choose between gas or electric or even an electric oven with gas burners. With the electric ranges you can choose ceramic top stoves of the coil type burners. We have a selection of dishwashers in black and white. They are a standard size although they have a variety of designs for the trays. We deliver but do not install the dishwashers. 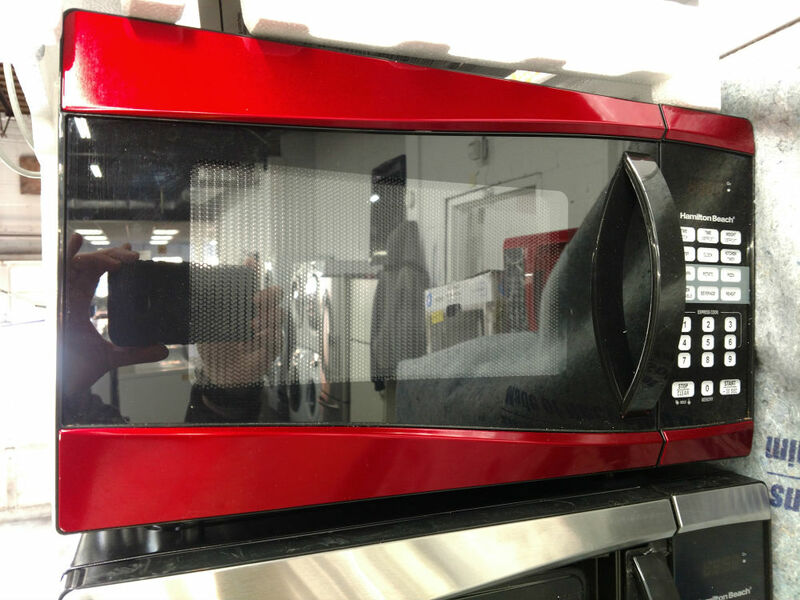 We carry a number of microwaves including counter top and wall mount.